Is it really true, we are making our way through winter?One month down and two more to go! I admit it, I love summer and warm, dry weather. I really cannot complain as I do live in sunny southern California, a dry and mild Mediterranean climate. Here winter is over in late February. I know! I am spoiled! Nevertheless it is cold and flu season and I do live in an international city and travel regularly. Add in the fact that I see patients three days each week and I really do have to protect myself from colds and flus! And of course if you are in the midst of or recovering from cancer treatments you may be even more vulnerable to infections at this time due to low cell counts and high stress. It is the season to boost immunity as well as resistance to infections. 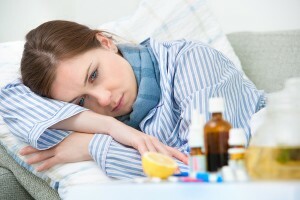 Although the focus of my work is the health side of the cancer equation; teaching you how to get well, stay well and live well beyond cancer, and even better, how to avoid getting cancer in the first place, it is cold and flu season, so I would be remiss if I didn’t give you some tips on how to resist viral infections! Did you know that Vitamin D enhances resistance to colds and flus caused by viruses? (Not to mention its cancer fighting, bone building, mood supporting properties). Everyone, young and old, can benefit from Vitamin D supplementation. While Vitamin D is naturally made in the skin when exposed to sunlight, in modern times we get so little sun exposure and, when we do, we are usually wearing a lot of clothes and some sunscreen. I studied with Dr. Michael Hollick, who recommends getting some sun exposure to your skin daily in the morning or late afternoon hours. However, I test Vitamin D in all of my patients and unless you are supplementing, it is really hard to achieve blood levels above 55 ng/ml, which is where real protection starts! Vitamin D-rich foods include oily cold water fish, such as northern wild salmon, mackerel, cod and sardines. Children can take Vitamin D in low doses in drops and adults can take either drops or capsules. Testing your blood levels and tracking the right dose for you is best done under the supervision of your health care provider. However, most people can safely start with a dose of 2000 iu of Vitamin D3 daily. Ask your doctor for a 25 OH Vitamin D blood test. Or go online to Directlabs.com where you can order this test for yourself! Supplement with Vitamin Synergy 1 -2 caps daily to stabilize your blood levels between 55-80 ng/ml. I particularly like this formulation because it includes Vitamin K which is important for bone building and cancer resistance. Remember if you have a condition that causes your body to use Vitamin K at high rates (cancer, infection, auto-immune disease, thyroid disease), you may need to adjust your dose. Be sure to ask your doctor or nutritionist for guidance on the correct dose for you. Another Way to Boost Your Immunity: Get Some Sleep! Studies show that rest, relaxation and sleep boost your Natural Killer cells, the cells of your immune system that go after cancer cells and viral cells. You can get a massage, take a nap, get a good night’s sleep, meditate, do progressive relaxation exercises… all of which will boost your immune fighting powers. Put rest and relaxation together with the Probiotics, Sulphoraphanes and Vitamin D which I have talked about all month and you have an equation for super immunity! Are you getting enough sleep to fight cancer & weight gain? « Tired? Hormones Out of Balance?